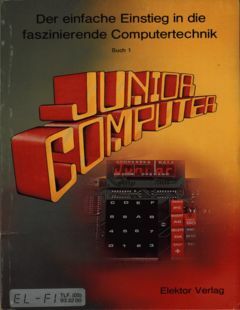 Added Elektor Junior-Computer Buch 1 (German) with thanks to EL-FI Data Aps. A book about how to build your own 6502-based computer from scratch. This entry was posted in 8bit-Development and tagged 6502, 8-bit, book, development, german, hardware, schematic by Martin Sørensen. Bookmark the permalink.